MANILA, Philippines - The Philippines will acquire three air search radars from Israel to boost its monitoring activities in the West Philippine Sea, where increasing Chinese military presence has been causing tension. Security officials signed last week an implementation arrangement that would pave the way for the purchase of the radars from Israel Aerospace Industries Ltd.-Elta for P2.6 billion, a source told The STAR yesterday. Israel will also lend the Philippines another radar “for immediate stop-gap solutions,” the source said. 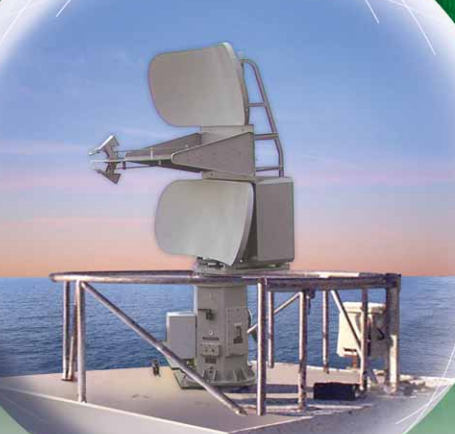 The delivery of the three radars is expected within the next two years. The one to be lent by Israel would be ready in a year. “The full requirement for national coverage involves nine radars but because of the capability of the three radars, we will only need seven,” the source said. It’s not clear if more deliveries are forthcoming. Canada has also committed to assist the Philippine Navy to improve its capabilities, Canadian Ambassador Neil Reeder assured Navy chief Vice Adm. Jose Luis Alano during a courtesy call yesterday. Reeder expressed his gratitude and enthusiasm in working with the Philippine Navy, particularly in the field of defense cooperation, Navy spokesman Lt. Cmdr. Gregory Fabic said in a statement. The Philippines and Canada are also looking into the possibility of forging a training collaboration to promote interoperability between their two navies. Reeder was accompanied by non-resident Canadian defense attaché to the Philippines Col. Michel Latouche and Cmdr. Daniel Charlebois, commanding officer of the Canadian ship, Regina. The ship arrived at Pier 15 in South Harbor last Saturday for a port visit that ends today. “The visit aims to promote stronger military ties and cooperation between the Philippine Navy and Royal Canadian Navy and strengthen the diplomatic relation between the two countries,” Fabic said. In 2001, the Philippines and Canada signed a memorandum of understanding on participation in combined naval exercises. Canada was also among the countries that provided relief to the victims of Super Typhoon Yolanda. The Northern American country sent 237 soldiers to assist in clearing debris, rebuilding roads, providing clean water and delivering medical care. Canada also deployed three CH-146 Griffon military helicopters to help in the relief efforts. China is claiming almost the whole West Philippine Sea through its so-called nine-dash line, which covers more than 100 islets, atolls and reefs. China’s territorial claim also overlaps with those of Malaysia, Taiwan, Brunei and Vietnam.